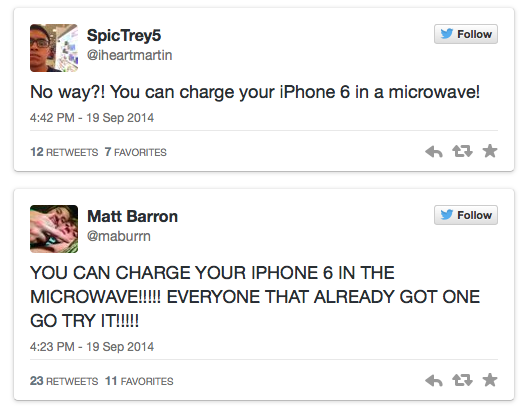 Just how advanced is that new iPhone 6? Enough to fool a few proud owners into a cruel hoax posted by a band of web fellows through a blogging site called 4Chan. 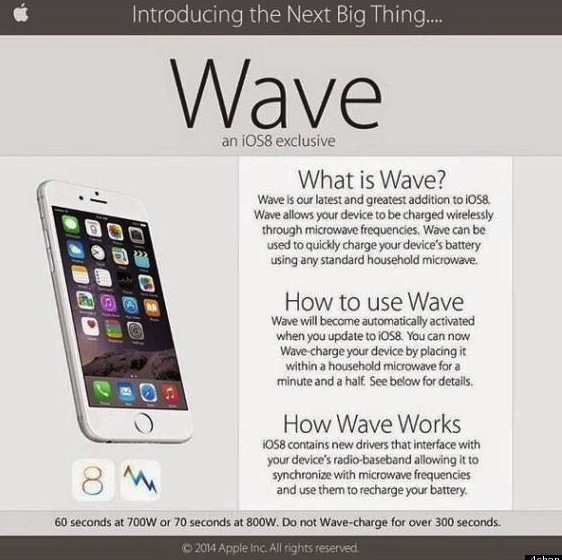 Their site contained a fake posting claiming that a new set of iOS 8 drivers, found on the new operating system, in the new iPhone 6 pimps out a new feature called “Wave”, which allows for the microwavable charging of your battery from a household microwave oven. I’m sorry- I could not stop laughing hysterically! 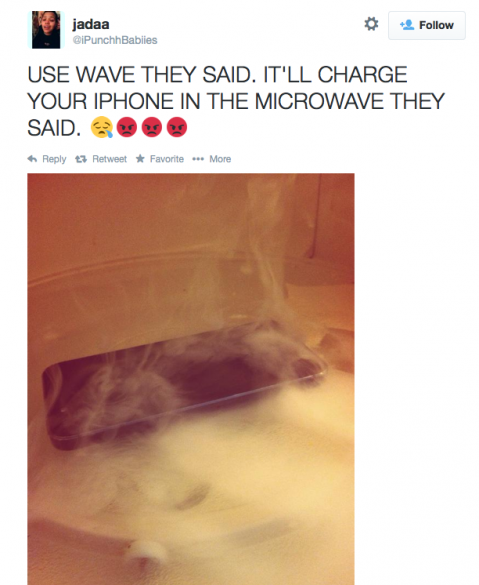 Simple: place your iPhone in the “microwave for a minute and a half” and voila, your iPhone will be recharged. That is just simply evil. I’ve learned the hard way that iPhones (or any electronic device for that matter) should be kept far away from implements that are used for human necessity…like microwaves, washing machines….and toilets.